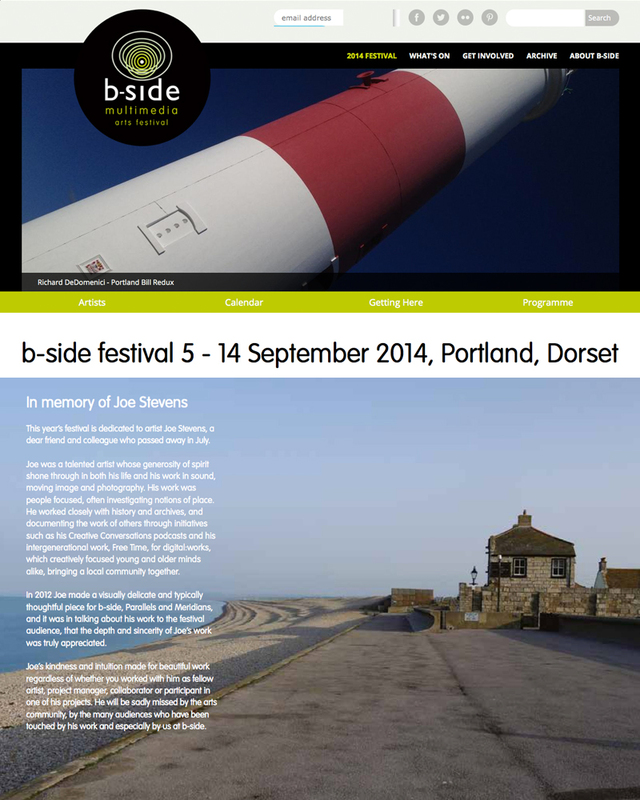 The b-side festival team has generously dedicated this year’s festival to the memory of DIVAcontemporary associate artist Joe Stevens, we would like to say thank you for the beautifully written dedication. This entry was posted in associate artist, Joe Stevens, links. Bookmark the permalink.